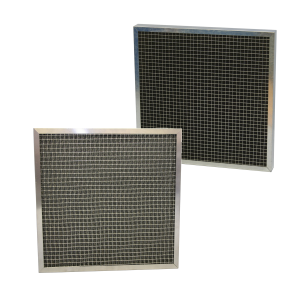 Since 1981 Airclean has manufactured a full range of Air Filters for the Heating and Ventilation Industry, originally specialising in the non- standard market including filtration systems for the Air Conditioning Industries’ more special requirements. We pride ourselves on the fact that we manufacture over 95% of the products that we sell, unlike many other manufacturers. We have always specialised in the manufacture of Non-Standard Air Filters, but we have also built up a vast experience of Technical Knowledge across a range of disciplines in the Heating and Ventilation Industry. 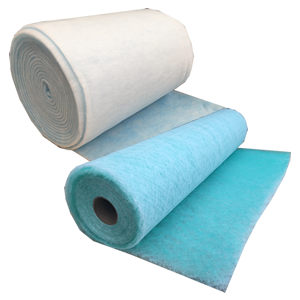 Air Filters have been enlarged to encompass all variations of Disposable Panel Filters, Washables, Grease and Bag Filters, Activated Carbon Cells, Absolutes, Roll Filters and Media in Pads or Rolls along with a comprehensive range of Filter Housings and Duct Mounted Casings. To meet the growth in the Fast Food Industry, Airclean has broadened its range of Grease Filters and Activated Carbon products to suit this particular market, where grease laden atmospheres are a potential fire hazard and can cause an odour nuisance. Through the National Distribution network of Airclean, the majority of filters we manufacture are available either ex-stock or within a few working days. At Airclean we endeavour at all times to meet our customers’ need by supplying a quality assured product without unnecessary delays whilst improving the range of Air Filter products that we offer you. Airclean has always had “A Cleaner Greener Environment” as its ethos, and in recent years we have moved further forward with products and developments which consider the environment. In our manufacturing processes we have always used recycled materials wherever possible, to the extent that we utilise the scrap materials from making beer bottle tops as the facias to our range of Panel Filters. For those customers who do not wish to use this, we offer recycled cardboard as the facia. Our own range of Activated Carbon Filters, which remove gases from the Extract Systems of Kitchens and Manufacturing Processes, are about to become a product that cannot be sent to Landfill, and will only be recycled. Within the Manufacturing Process in our factory, we have recently performed an Energy Audit, with the help of Business Link, which has identified where we can make more energy savings, further reducing our Carbon Footprint on the planet. Our Electrical Energy Usage is monitored at all times by WATTSON, and has become a “friend” of the Company, because everyone can see if they have left machinery idling when it is not in use, and see the ever changing supply of energy coming into the factory. Since 2009 we have endeavoured to become a Carbon Offset Company, contributing to various projects which we have selected around the world, where we can see an obvious benefit to the community beyond that of the carbon aspects. We are supporting Carbon Reduction further via links on our website, which allow our customers to calculate their Carbon Footprint, and then be able to offset it should they decide to.